12 Hour Shifts--A bad idea? ObstreperousYoungLad works as a Student :-). You are reading page 3 of 12 Hour Shifts--A bad idea?. If you want to start from the beginning Go to First Page. K+MgSO4 has 12 years experience as a BSN and works as a nurse unit manager. Then we would hand over and split the 8hr shift 6 pt between us and work on till 9 without a NIC. The most senior nurse taking the responsibility of allocating any admissions etc. We were very fortunate to have a ward clerk till 8.30 pm as well Mon -Thurs. fridays were usually hectic with 2 massive theatre lists and no clerk. But we always has students on the ward because of the way we are trained (we spend 12 months solid on the wards from mid 3rd year to mid 4th year). Weekends we only had emergency surgery and were usually quieter. Since moving to Oz the hospital that I work at only does 8s and I feel like I am constantly at work! 5 days is a bite in the behind compared to 3/4! But I am lucky, single young and no kids. Ask me again when I an 40! emtb2rn has 10 years experience as a BSN, RN, EMT-B and works as a ER RN. I love working 12s. I also work 11a-11p. It's actually 1045a-1115p. I'm almost always out on time. Latest I've ever gotten out was midnight and that was d/t a shift change code. Meal coverage is a big deal in my ER. We usually have a float who just covers breaks. I spent 20 years in corporate management before switching to nursing. I never want to work 8's again. For years, my 40 hour workweek was more like 60-70 d/t the electronic tether. 12s rock, when I'm done, I'm done. BluegrassRN has 14 years experience and works as a medical floor RN. THIS is where I cover my ears and say "LALALALA I CAN'T HEAR YOU!!!" I do not want to go back to 8 hour shifts! I wouldn't be able to work nights, for sure, if I had to work 5 days a week. I would hate it! I would like to see some studies that prove definitively that 12 hour shifts are bad. Here is what I personally think is bad about 12 hour shifts: People don't sleep adequately before their shift. People don't eat appropriately during their shift. People do not take breaks appropriately during their 12 hour shift. You don't take care of yourself, you eat a bag of chips and a soda during your shift for your lunch, no, you're brain isn't going to work properly for 12 hours. I also work with 2 nurses who work two full time jobs. They work 6 twelve hour shifts a week. This is crazy to me. THIS is where you don't get adequate sleep and recuperation, and errors occur. I guess I'd do it, too, if i had to. But I think it would ultimately be unsafe. suanna has 30 years experience and works as a RN. I'll give up my 12 hr position when they pry it from my cold dead timecard. I worked under 8 hr shifts and was there for the 12 hr revolution that happened in the late 80s. I was just as tired, overworked, and stressed working 8 hr shifts as I am on 12s. I was just at work 5 days a week, not 2 or 3. With 12 hr shifts I get more time away from work to recharge, I get more time with my family, and if I need some OT, I can get it without giving up all my days off. BloodCleanerRN has 9 years experience and works as a Acute Hemodialysis RN. 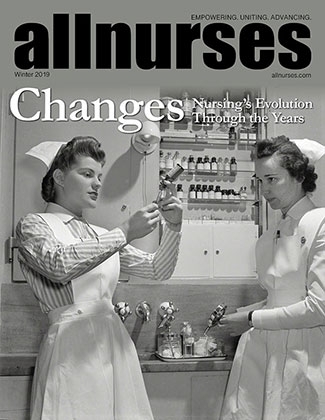 nursing innovations works as a STUDENT. IF people were given a couple of short breaks and a meal time (like the LAW says), THEN 12 hour shifts are ok. To me it is is just a longer period in the tangled web of too much work for not enough people. I can see why folks do it. It is bad enough to endure 3 days ina difficult situation, let alone 5! RNperdiem has 14 years experience. I would rather eat dirt than go back to working 8 hour shifts. It was 5 days in a row of commute, report, stressful job and no escape and back to work the next day. I get more chances for a break with a 12 hour shift than I ever did with 8. Time after work or before work sounds good but much of that time is lost in report and commute. Give me a whole day off instead. BabyLady works as a RN. I'm currently a nursing student and things have been...interesting lately. After seeing nurses in my acute care clinicals and browsing this forum I've come to the conclusion that 90% (Yes, 90% exactly) of nurses are either feeling horrible, terrible and in some cases miserable. So I have to ask those who work/worked 12 hour shifts: How do you feel about it? What is the experience like? I agree that 12-hour shifts need to be done away with. While I enjoy working 3 days a week, the level of fatigue that I feel at work is unlike any other job I have ever had and I strongly feel that this has attributed to small mistakes that I have made since I have been working. The 12-hour shifts benefit ONLY the facility...not the employee, nor the patient, who is being taken care of by sleep-deprived staff members. ok2bme works as a Psych Nurse Intern. I work 8's (3p-11:30p) and i love it. The days seem so much longer and more productive..I wake up around 9ish, have time to get lunch with friends, work out, run errands, shop, etc. Then I go to work, go home, and not go to bed any later than I would working days. Plus I get a nice differential ($500/month) for a shift that doesn't even throw off my sleep schedule. I think 8's may be better for people with depression like me. I am prone to laying in bed all day when I'm not at work, so at least it mandates that I get out of my pajamas and face society most days of the week. If my facility went to 12s I don't think I'd resist it..there seem to be plenty of advantages to 12s as well..there are pros and cons to both, as with any proposed change in life I suppose. klone has 13 years experience as a MSN, RN and works as a Director of OB Services. I work 3 days a week, 12 hour shifts. The latest I have stayed past my shift is 20 minutes. I love it and would not remain in hospital nursing very long if they were taken away and I was required to be at the hospital for 5 days a week. I work nights, and the fact that I only have to work three nights a week, instead of 4 or 5, is what keeps me (and my patients) safe. I would be a much less effective nurse. Byrnowt has 16 years experience and works as a RN. shifts! If I did 3 in a row, I would spend the 4th day in bed recuperating from the stretch. It really is important to get breaks/lunch. Otherwise, it will impact your health in the long run. I had to have a bladder sling placed....too many times I would go through an entire shift voiding once if at all! Didn't have time to drink water either. I like 8 hrs...by the time you start to get sick of the place, it's time to go home!